The information contained in this website is for general information purposes only. The information is provided by The Gardening Products Review / ITG Multimedia LLC and while we strive to keep the information up to date and correct, we make no representations or warranties of any kind, express or implied, about the completeness, accuracy, reliability, suitability or availability with respect to the website or the information, products, services or related graphics contained on the website for any purpose. Any reliance you place on such information is therefore strictly at your own risk. In no event will we be liable for any loss or damage, including without limitation, indirect or consequential loss or damage, or any loss or damage whatsoever arising for loss of data or profits arising out of, or in conjunction with, the use of this website. This website is a collaborative gardening products review site written by a group of individuals. The view and opinions expressed on this website are purely those of the authors. This website does not accept cash advertising, nor does it accept paid sponsorship or paid topic insertions. However, we will and do accept and keep free products from companies and organizations. 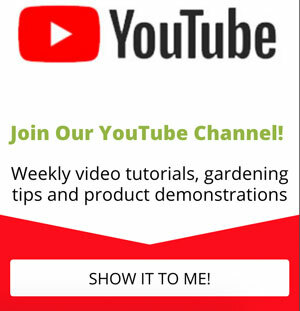 Gardening Products Review is a participant in the Amazon Services LLC Associates Program, an affiliate advertising program designed to provide a means for sites to earn advertising fees by advertising and linking to Amazon.com, Amazon.co.uk, Amazon.ca and other Amazon stores worldwide. We also participate in affiliate advertising programs with other merchants from whom we earn fees. We do not mark up prices and you will not pay more by purchasing through any of our affiliate links. The revenue earned through these programs does not in any way affect the reviews we publish. The owner and writers of this website are not compensated to provide opinion on products, services, apps, and various other topics. The views and opinions expressed on this website are purely the product reviewers’. If we claim or appear to be experts on a certain topic or product or service area, we will only endorse products or services that we believe, based on our expertise, are worthy of such endorsement. Any product claim, statistic, quote, or other representation about a product or service should be verified with the manufacturer or provider.